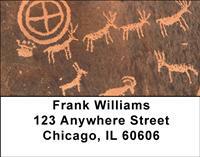 Primitive drawings and symbols are our first original masterpieces. Though they might not have appeared in museums, their legacy gives us insight to a time that no longer exists. Show respect for your cultural heritage and past with these mesmerizing petroglyphs and journey back into a time period when man was still learning how to make his way.